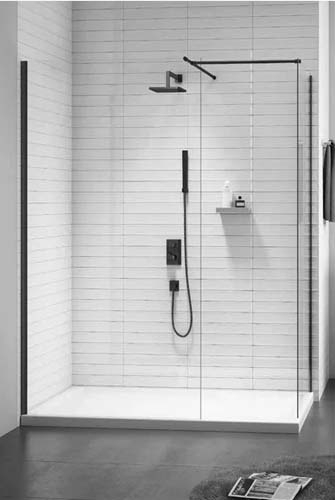 Merlyn's wide range of luxury walk-in shower enclosures and wet room screens will create a bathroom centrepiece that is both visually impressive and constructed with the highest quality in mind. With a variety of styles, from the lavish to the minimalistic, there's something in the Merlyn range to suit every bathroom and every customer. This selection is available in a number of sizes, ensuring the size of your home isn't an obstacle to finding the unit you deserve. Different thickness glass is used in each model, up to the super sturdy 10mm of the '10 Series' but every one is made of reinforced safety glass. In 'Series' products, the number refers to the glass thickness. 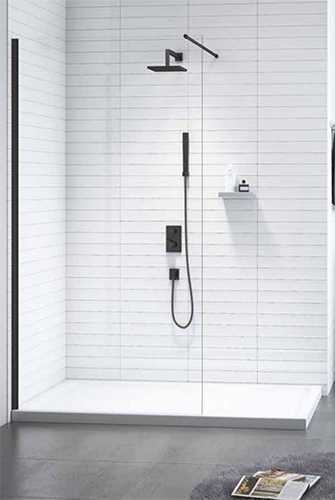 All 'Series' models come with a lifetime guarantee, so you can worry about more important things than enclosure damage, though with the build quality of Merlyn Showers this shouldn't be an issue. Most units come with 'Mershield Stayclear' coating included, an innovation that prevents the build-up of limescale and other dirt on your fittings making it easier to clean and avoiding any long-term effects. Merlyn's range is exclusive to a select few retailers and HeatandPlumb.com are proud to be among them.